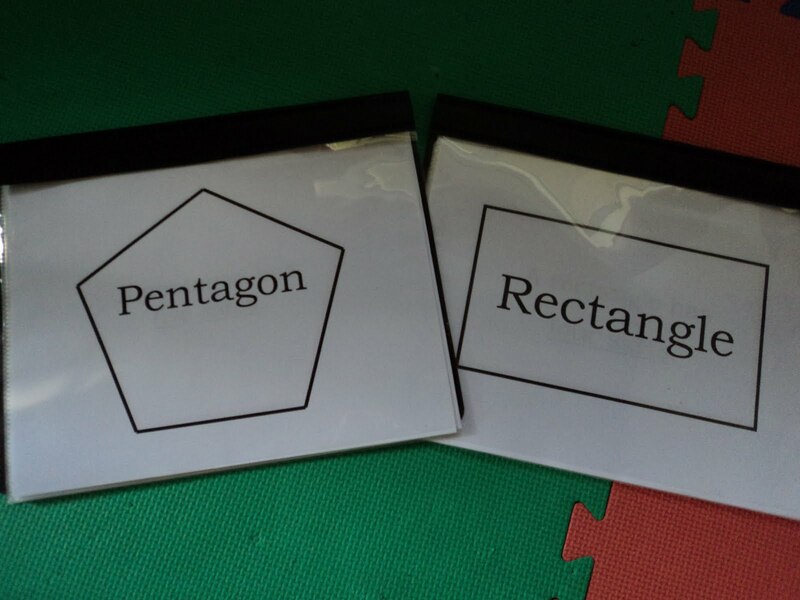 On BrillKids forum I found encyclopedic knowledge cards made for two dimensional figures. 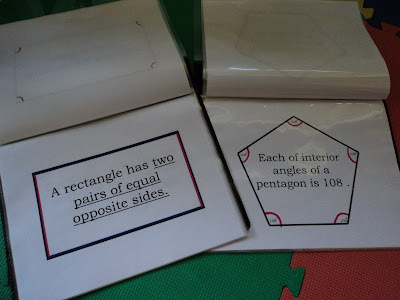 But as you know from my previous posts, Eaton likes to read these facts in the form of book. 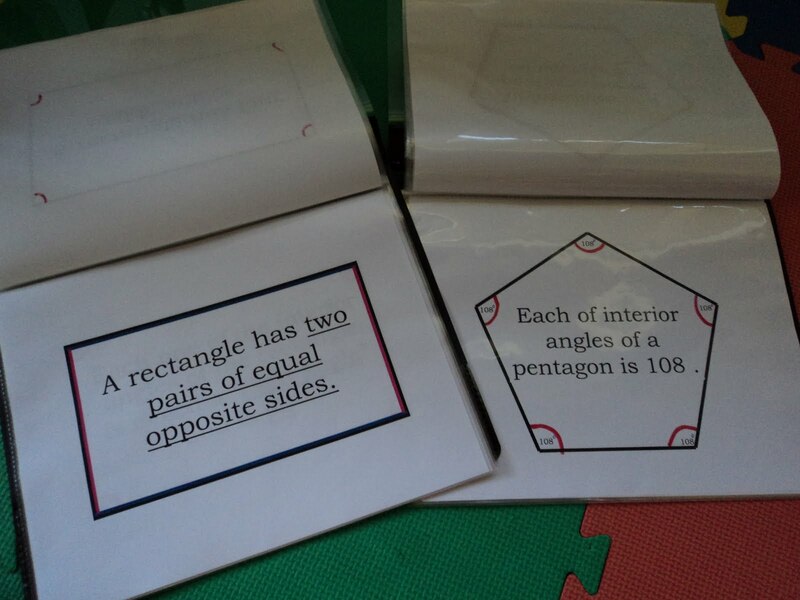 I created two books so far regarding rectangle and pentagon. 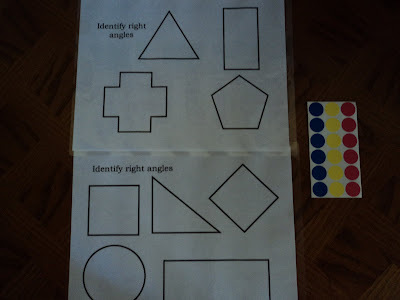 What you need to do is to draw the angle signs and write down "degree" signs as I couldn't figure out how to do it in Power Point. 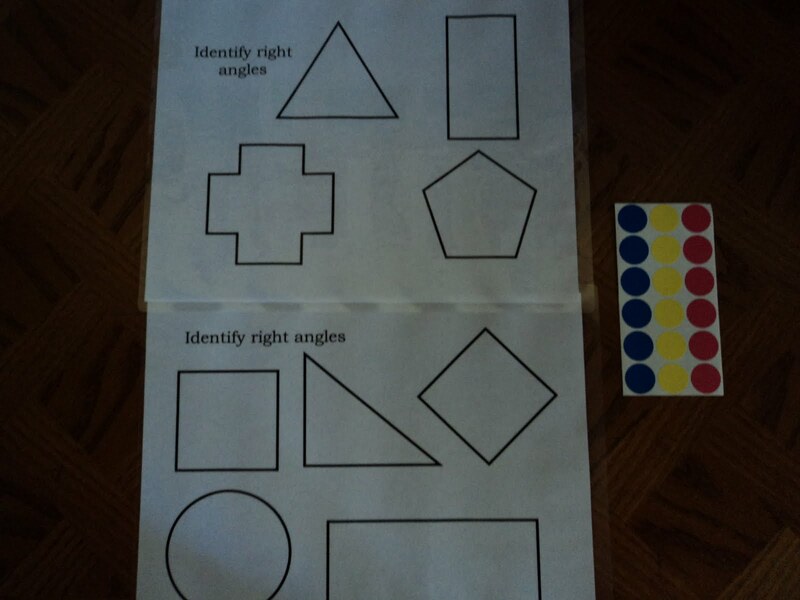 You can also cut out the shape instead of using a book. 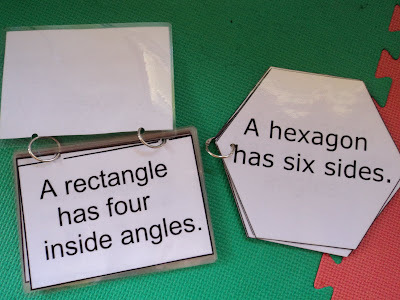 This way you can use a shape of the book to point to sides of a figure. 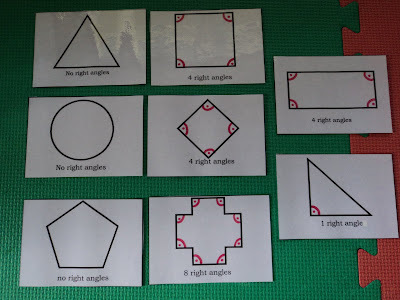 For the purpose of this lesson I also created an activity to identify angles of two dimensional shapes together with flashcards. 1) Encyclopedic books: pentagon and rectangle. 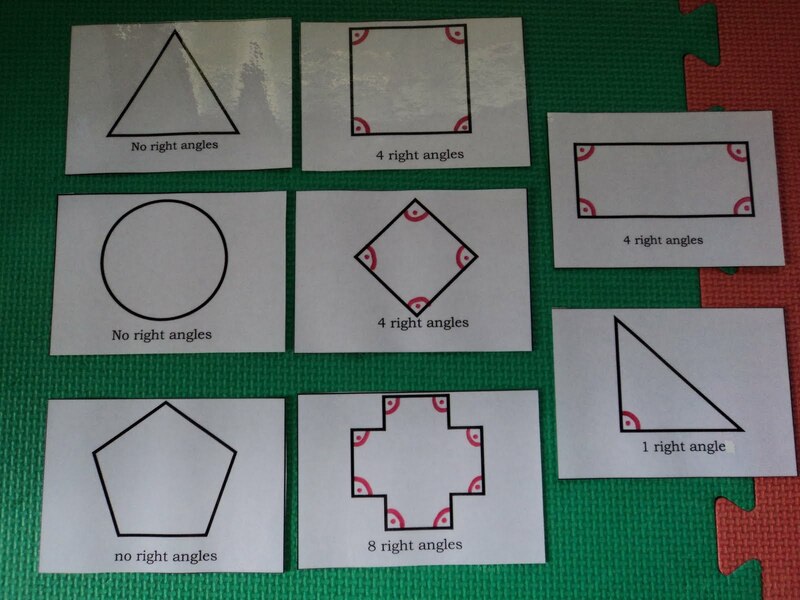 2) Identify right angles activity with flashcards.